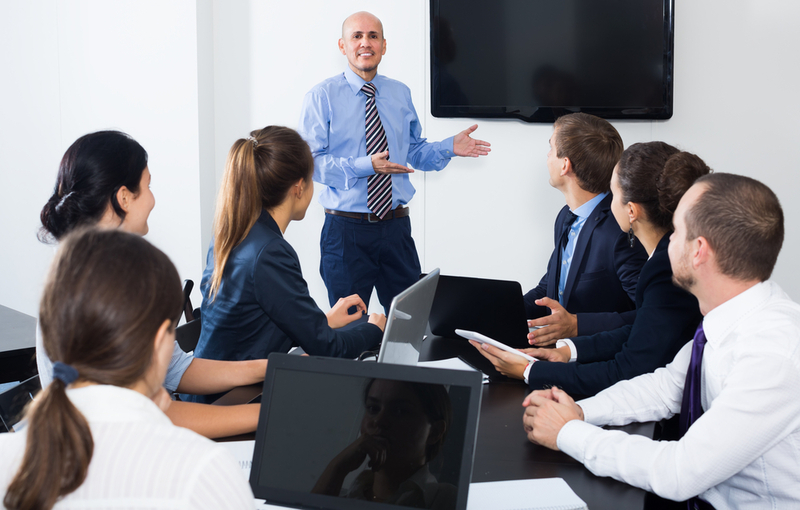 Meetings are a crucial way for business leaders to drive results among their teams. Used correctly, effective meetings are compelling, dynamic events where people come together to discuss new ideas, solve problems, or make critical decisions about the future of an organisation. Unfortunately, there are countless meetings in the financial services industry that lack this all-important productivity. In an era where every moment counts for your employees, inefficient meetings are something that no company can afford to abide. If you think it’s time to upgrade your meetings, here are some strategies for an incredible conference. Meetings often suffer when the conversation begins to lose its way. When there are multiple people trying to communicate in the same space, it’s easy to get off topic. However, the last thing you want is a conversation where your people talk for an hour but don’t necessarily get anything done. Before you host a meeting, make sure you know what you want to accomplish. Do you want to use feedback to help your senior-level staff achieve better results in the new financial year? Are you introducing a new piece of banking technology? Determine what kind of resources and tools you’ll need for the meeting – g. PowerPoints, software demonstrations, or charts. Show you who you need to invite to the meeting – Which members of staff need to be there, and who can catch up with an email later? Guide you to the right conference room with plenty of space for the people you want to include in your meeting. Just as visualising an ideal outcome before your meeting will keep your conversation on track, developing a meeting agenda will also give you an insight into how long it will take to cover all your key points for the conversation. With your schedule in mind, appoint a meeting leader capable of keeping other members of the group on topic throughout the conference. This person will be able to keep an eye on the time and push things along if your other staff members lose their way. If you’re concerned about sticking to your meeting schedule, it’s a good idea to avoid any times during the day when people might be thinking about other things. For instance, don’t schedule a meeting just before lunch, or before you know a vital deadline must be met. The best meetings are high-energy events where everyone gets involved to benefit the business. Unfortunately, according to CBS news, up to 39% of people admit to “dozing off” during their conferences. To ensure that your people are fully present in your meetings, make sure that the experience is as inclusive and interesting as possible. Don’t just introduce your team to your new accounting system, get people to come up and give it a try for themselves. Ask your employees to share their ideas about how you can make a new methodology better, and brainstorm resolutions to complex problems. By making everyone in your organisation feel heard and understood, you’ll begin to transform your meetings into more productive and collaborative events. What’s more, you’ll create a company culture that makes your business more appealing too. Your employees must feel as though they’re walking away from a meeting with a set of tasks to accomplish, or a new goal to achieve. Before you wrap up a conference, work together with your attendees to decide what the next steps will be for your business. For instance, if your meeting was to review the new financial software you’ll be using in the months to come, the next steps may be encouraging every member of the meeting group to take part in a training session over the next week. Remember, don’t just tell people what you would like them to do next, set deadlines that drive your team towards action as quickly as possible. This will ensure that people don’t forget about the essential issues you covered in the meeting. Finally, make sure that you’re cutting down on unnecessary meetings whenever possible. Before you call a meeting, ask yourself whether the information you’re going to share can be delivered just as efficiently through an email or interdepartmental memo. Around 47% of employees feel that meetings harm their productivity, rather than helping it. If you want to support your high performers, then you’ll need to make sure that you’re using your meetings for all the right reasons. Question the importance of each meeting before you start searching for a venue and remember that you can always combine multiple meetings into a single event if necessary. For instance, instead of giving each member of your accounting team an individual review, why not assess them as a group?